If you are the trustee, grantor, or beneficiary of a foreign trust, you may need to report certain financial information to the Internal Revenue Service (IRS), depending on the nature of the trust and the role you play within it. To help you prepare for the upcoming tax season and fulfill your foreign trust reporting requirements correctly, our international tax lawyers have compiled some important tips. To receive detailed personalized guidance on foreign asset tax compliance in 2019 under the Tax Cuts and Jobs Act (TCJA), contact the Tax Law Office of David W. Klasing today and book your reduced-rate consultation. In any discussion of trusts, which function as powerful and versatile financial planning tools, it’s important to begin with a quick review of some terminology. For example, the “settlor” or “grantor” is the individual who established the trust. This is not to be confused with the “trustee,” or the person responsible for managing the trust once it has been created. Though trustees and settlors (i.e. grantors) have different responsibilities, both roles are sometimes fulfilled by the same individual. Separate from the trustee or settlor/grantor is the “beneficiary,” or the individual who will benefit from the trust – often a child or other family member. A U.S. or non-U.S. settlor, or grantor, maintains control over the trust. The settlor is taxed on his or her personal income tax return. This occurs because a grantor trust is categorized as a “disregarded entity” for tax purposes, similar to a single-member LLC. By comparison, a non-grantor trust is taxed at the trust level. This may necessitate some additional paperwork, such as the filing of Form 1041 (U.S. Income Tax Return for Estates and Trusts) and Schedule K-1 (Beneficiary’s Share of Income, Deductions, Credits, etc. ), the latter of which should be issued to beneficiaries. Whether the trust is domestic or foreign is also critical, because if the trust is foreign (such as a foreign grantor trust), special reporting requirements may apply – some of which are explained below. If you’re interested in setting up a trust for your child or spouse, you should discuss your wishes with an experienced estate planning attorney, like those at the Tax Law Office of David W. Klasing. Otherwise, continue reading for an overview of some different IRS reporting requirements that apply to foreign trusts in 2019. By comparison, passive investment income is generally either not subject to taxation, or, as “FDAP” income (meaning income which is “fixed or determinable, annual, or periodic”), is subject to a flat 30% rate – “unless,” as the IRS notes, “a tax treaty specifies a lower rate.” This is sometimes referred to as a “withholding tax.” The tax withheld should be reported to the IRS using Form 1042 (Annual Withholding Tax Return for U.S. Source Income of Foreign Persons). File Form 8966 (FATCA Report), if the trust meets FATCA criteria to be defined as an “investment entity.” The IRS lists hedge funds and private equity funds as examples of FATCA investment entities. Supply a beneficiary statement, which should include the items indicated on Form 3520 (Annual Return to Report Transactions with Foreign Trusts and Receipt of Certain Foreign Gifts), to the beneficiary by March 15, 2019. File Form 3520 (Annual Return to Report Transactions with Foreign Trusts and Receipt of Certain Foreign Gifts), which is due by the regular deadline to file taxes: typically April 15. The beneficiary must file this form if he or she received any distributions from the foreign trust, no matter how small. File Form 8938 (Statement of Specified Foreign Financial Assets), if he or she received any distributions. A moment ago, with regard to the FBAR requirement, we mentioned the IRS standard that “one or more United States persons have the authority to control all substantial decisions of the trust.” This is known as the “control test,” as noted under 26 CFR 301.7701-7(a)(1)(ii). The first half of that standard – that “A court within the United States is able to exercise primary supervision over the administration of the trust” – is likewise called the “court test” pursuant to 26 CFR 301.7701-7(a)(1)(i). Generally speaking, any trust that fails to pass either test can be deemed foreign. As we mentioned in the previous section, trusts may be subject to FBAR reporting rules. In such cases, the trustee is responsible for filing an FBAR, which is typically due on the same day as income tax returns (i.e. April 15, in most years). File Form 5471 (Information Return of U.S. Persons with Respect to Certain Foreign Corporations), which is filed alongside Form 1040. Form 5471 is used to report ownership of a foreign corporation that exceeds a 10% threshold. File Form 8621 (Information Return by a Shareholder of a Passive Foreign Investment Company or Qualified Electing Fund). All of the aforementioned forms are generally due by April 15. In addition to meeting these requirements, the U.S. grantors of foreign trusts may also need to file an FBAR, potentially in addition to filing Form 8938. File a yearly FATCA report (which, to reiterate, is Form 8966), if the foreign trust meets the “investment entity” criteria mentioned above. The report must include information about the U.S. grantor, including his or her Taxpayer Identification Number (TIN). If the trust is not an investment entity, the bank which manages its account(s) should assume responsibility for filing the necessary FATCA reports. File Form 3520-A (Annual Information Return of Foreign Trust with a U.S. Owner (Under section 6048(b))) by March 15, 2019. Note that failure to file Form 3520-A will subject the individual grantor to IRS penalties. If a limited liability company was formed in the United States, but is under the ownership of a foreign trust or non-U.S. person, it may be necessary to file Form 5472 (Information Return of a 25% Foreign-Owned U.S. Corporation or a Foreign Corporation Engaged in a U.S. Trade or Business (Under Sections 6038A and 6038C of the Internal Revenue Code)), which is generally due on April 15, in order to avoid Form 5472 penalties – which are substantial. Form 5472, which is used to disclose financial transactions involving U.S. LLCs and their foreign owners, should be attached to Form 1120 (U.S. Corporation Income Tax Return). Over many years successfully assisting foreign entities with issues like tax planning, FBAR compliance, and FATCA compliance, the international business tax lawyers and FBAR attorneys at the Tax Law Office of David W. Klasing have earned a reputation as the preeminent legal resource for business owners who need answers to complex global tax questions. 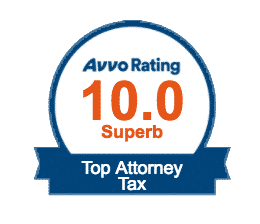 To arrange a reduced-rate consultation concerning a tax issue involving a foreign or domestic trust or business, contact us online today, or call the Tax Law Office of David W. Klasing at (800) 681-1295.